Keeping fit during the months of February and March has just become a little easier. The Beth C. Wright Cancer Resource Center will be hosting a 7-week class of low impact aerobics, weight resistance, & yoga. This class also consists of tummy exercises such as excessive laughing, heartwarming camaraderie, and rewarding distraction from the demands of life. Stacey Giancarlo Estes is a breast cancer survivor living life to the fullest. During her cancer treatments, Stacey’s doctor suggested joining an exercise group which she did half-heartedly. She discovered that exercise is a both a physical and emotional thing that she could do purely for herself. She realized that the exercise made both her body and mind feel better and it was a way to socialize with a group of like-minded people who were affected in some way by cancer. 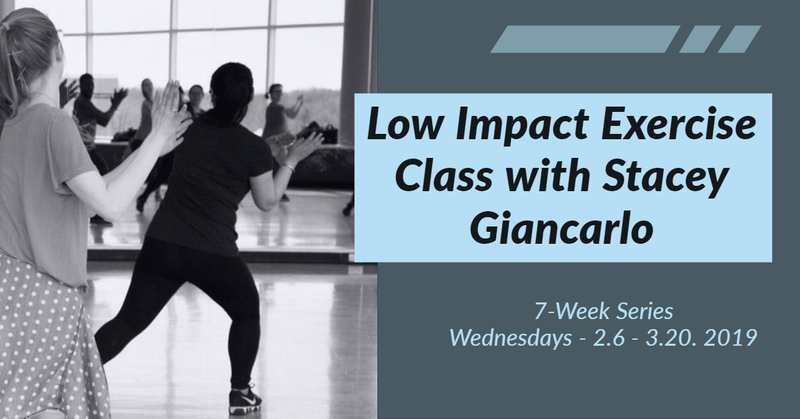 This low-impact exercise series is designed for cancer survivors, caregivers and all that are interested.